The Rockwell building is a boutique-style residence built with the concept of a New York lifestyle in mind. This style fits in perfectly in the De Waterkant area, known for its upmarket boutique stores, sidewalk cafes, bars, restaurants and clubs. 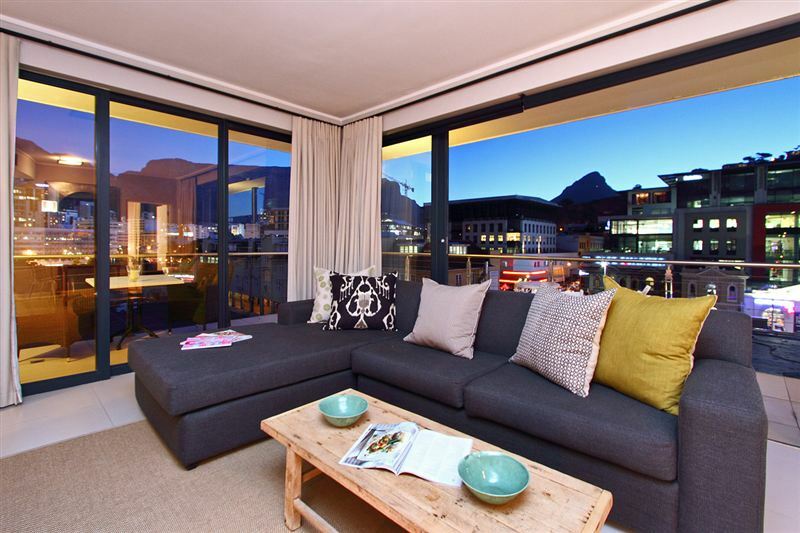 This particular standard of living in one of Cape Town&apos;s trendiest areas can be witnessed from the wrap-around balcony of 407 Rockwell. 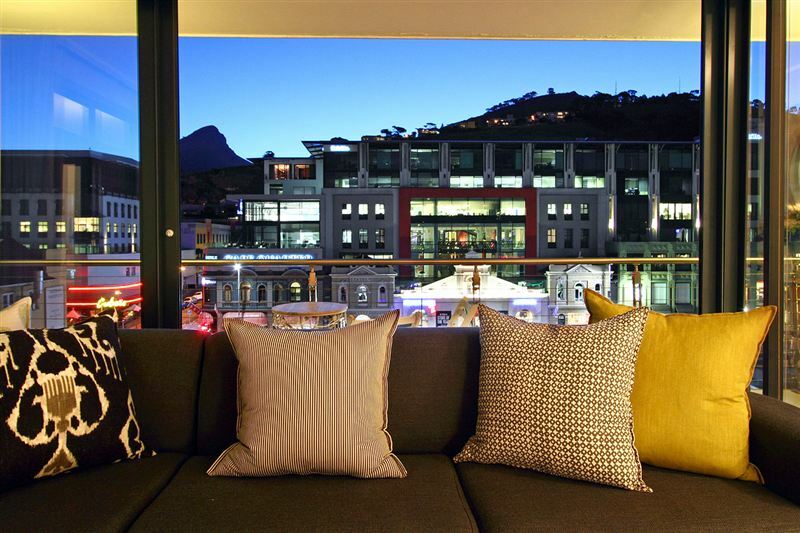 From one side of the apartment, guests can view the popular Cape Quarter, with its range of restaurants, the old stone church, the bustling nightlife of Somerset Road and the majestic Signal Hill, one of Table Mountain&apos;s peak&apos;s where the noon gun is shot from once a day. 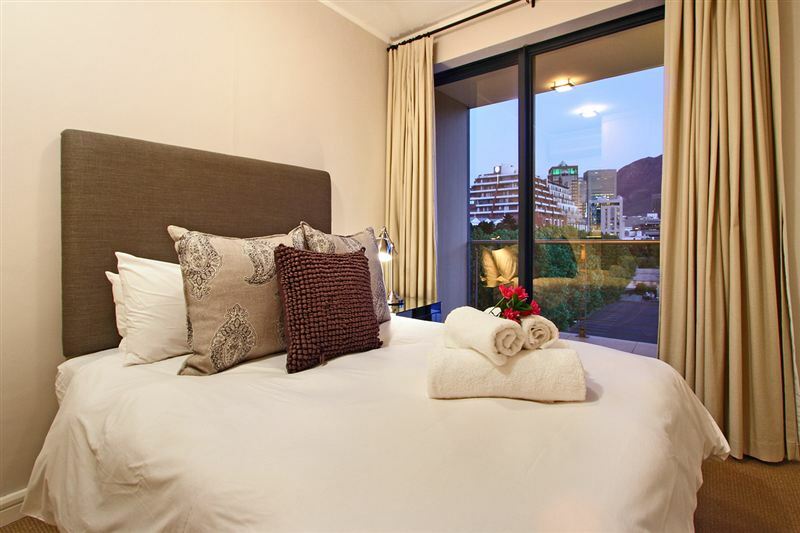 Around the corner, on the other side of the balcony, guests will find a view of the magnificent Table Mountain, which can also be seen in full view from the first bedroom. 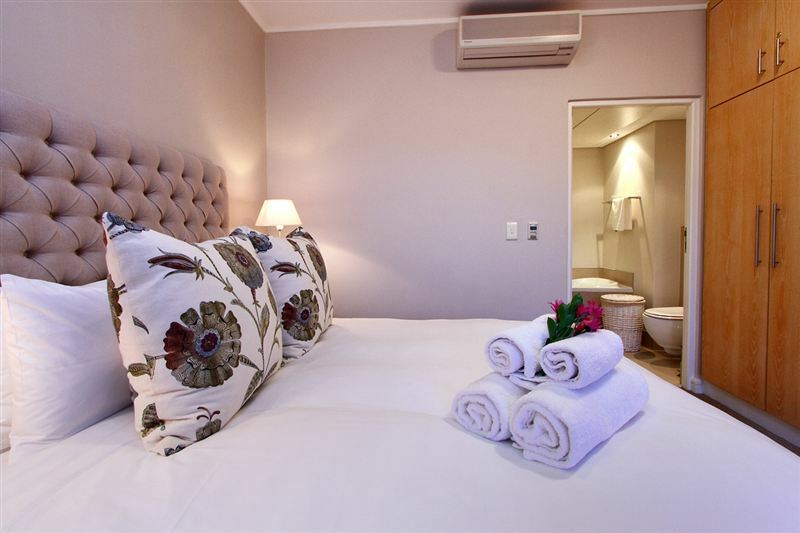 This comfortably sized room is decorated in neutral, sandy tones and includes an en-suite bathroom with a shower and granite tops. The second bedroom is an equally impressive room where guests can wake up to views of the diverse architecture of the area, contrasting against Signal Hill. 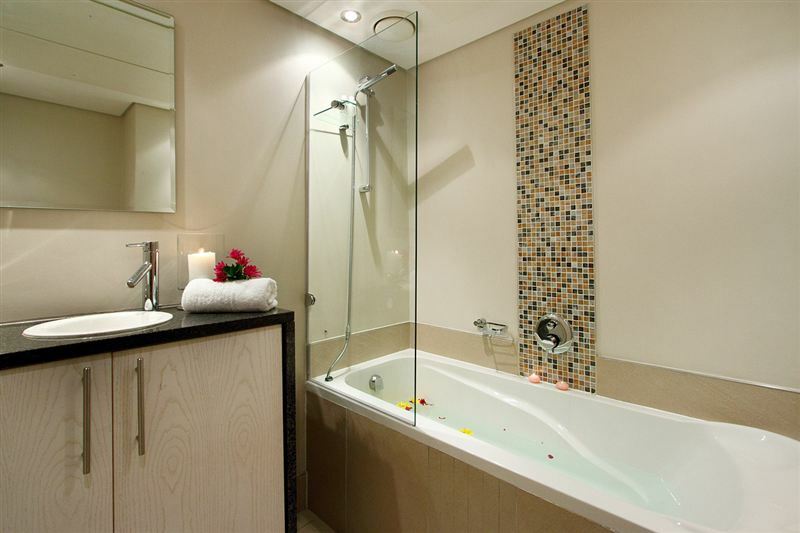 Its en-suite bathroom contains a bath with an overhead shower and mosaic finishes. The distinct views of this corner apartment create an exquisite backdrop for the living room, which is decorated with a natural colour scheme and plush furniture in natural materials and wood. The soft lighting mimics that of the large candles found all around the lounge, offering a romantic ambience to the living space. Enjoy watching the news on the flat screen TV from the comfortable couch, or work from your laptop on the balcony, or anywhere else you like, with the complimentary Wi-Fi access. The open-plan living room also includes a wooden table with ample room for entertaining guests. 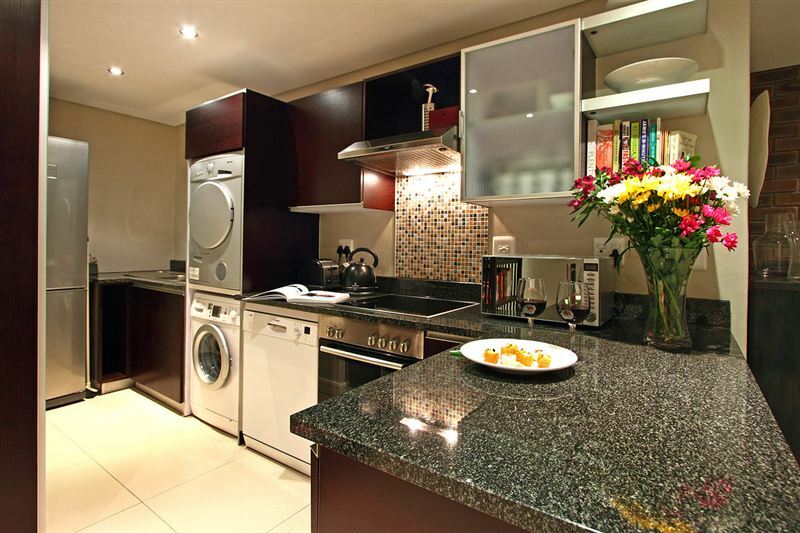 The granite tops and dark wood cabinets of the kitchen offer a stylish area to cook up a storm. The well-appointed kitchen even includes a stack of cookbooks in case you left your favourite recipe book at home. 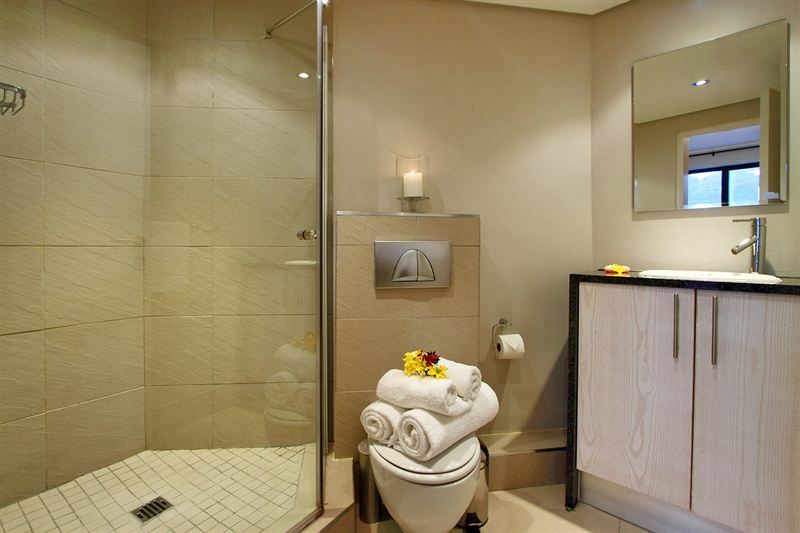 For the health conscious, The Rockwell includes a swimming pool and gym. 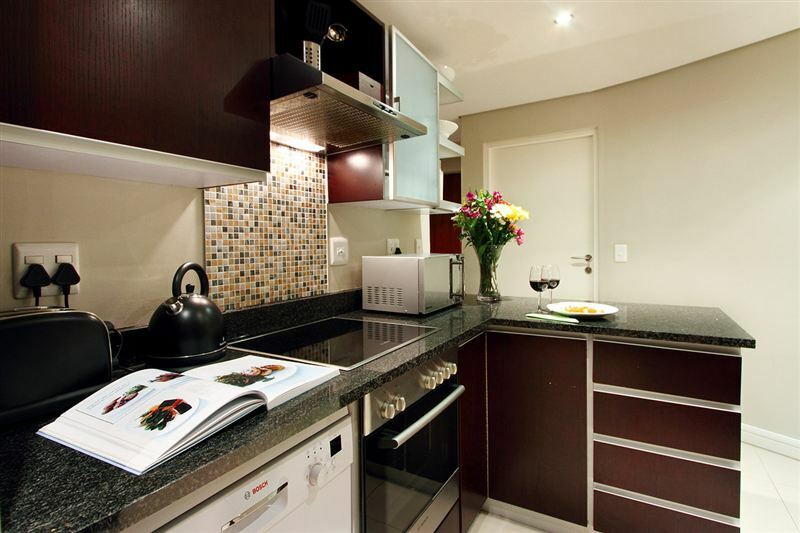 There are also sleek elevators which lead to underground parking bays and 24-hours security. 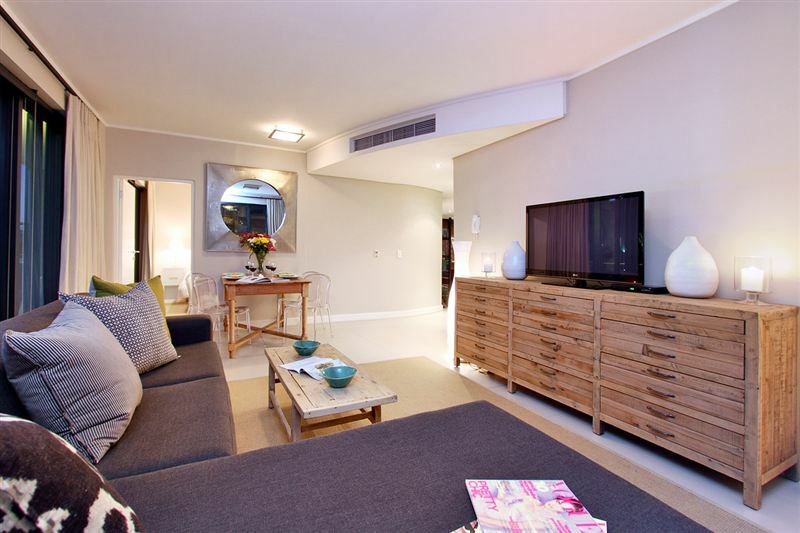 Those staying at the Rockwell on business, will find the CTICC and central business district just moments away and once the working day is done, an array of night time entertainment can be found on the doorstep of this luxury apartment.